Here we have a mix of high and low to create the perfect coffee moment, click through to see where we got each piece. 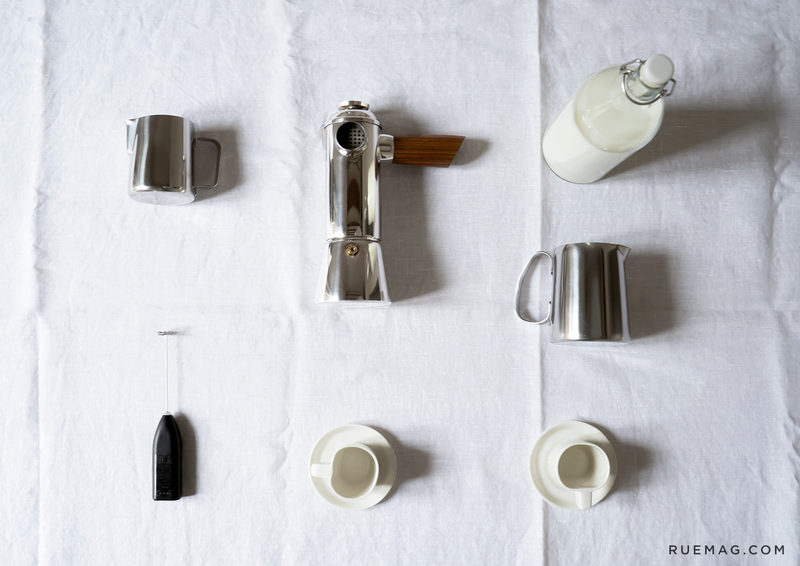 The Freud Stove-Top Espresso Maker is a modernist icon. 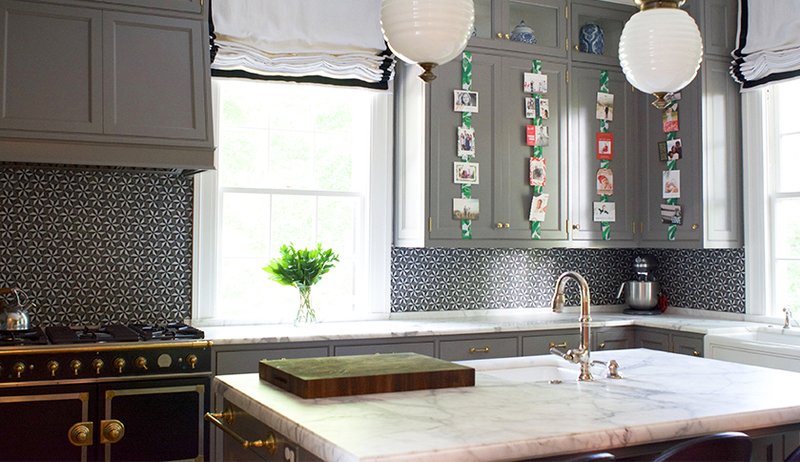 Its rosewood handle and geometric lines make it something you’ll want to have out on your counters for everyone to see. Ditch your old college coffee mugs. 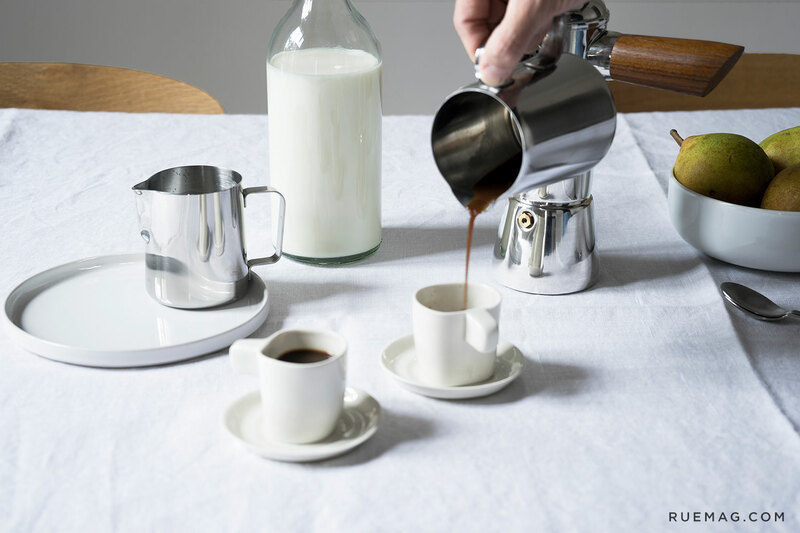 These espresso cups, are handmade in Lisbon and come with their own saucer. We believe in investing in tableware that shows a bit of personality and quality. Between the dreary weather outside and the late nights with friends, coworkers, and family members, we all need a little caffeine boost. Many of us resort to coffee shop-prepared brew to get us through the day, but if we tally it up, the amount of money we spend nursing our caffeine habit can be startling. We’re here to give you a few pointers on how to make a sensible investment in your love of coffee (saving you a few $$) as well as match (or supersede) the quality of your favorite coffee shop, at home. 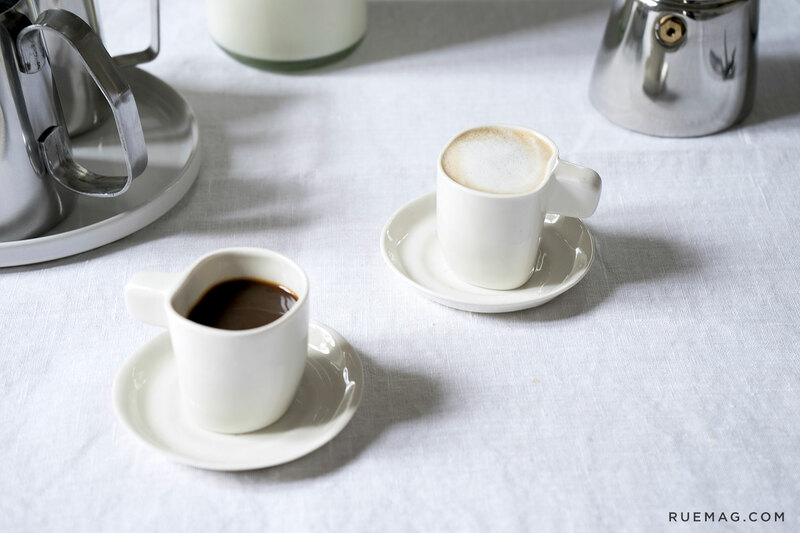 Step 1: Purchase great looking espresso cups or coffee cups. We love these from Lusitano1143 that are handmade in Portugal. They will always be a classic and bring a unique touch to a delicious cup of coffee. Step 2: Invest in a great coffee machine. 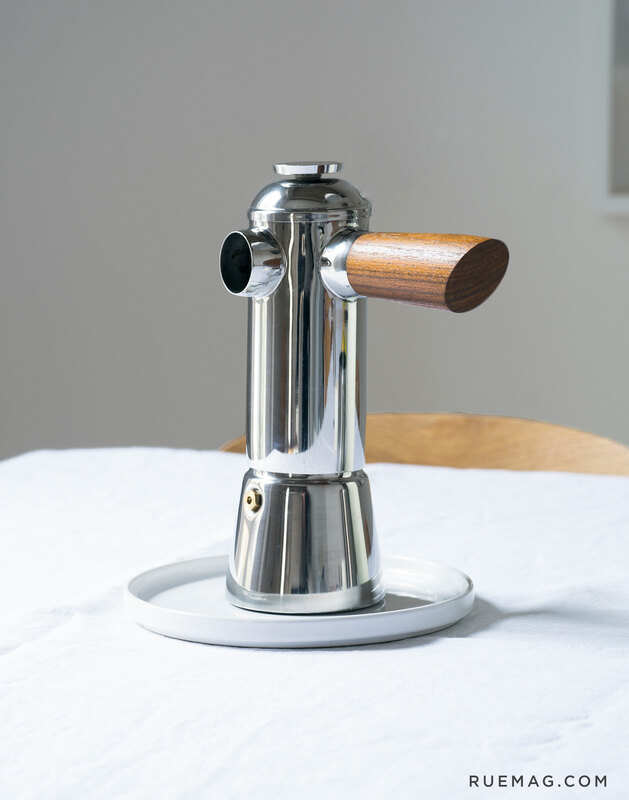 Stovetop espresso machines, like this one by Freud is the biggest bang for your buck. 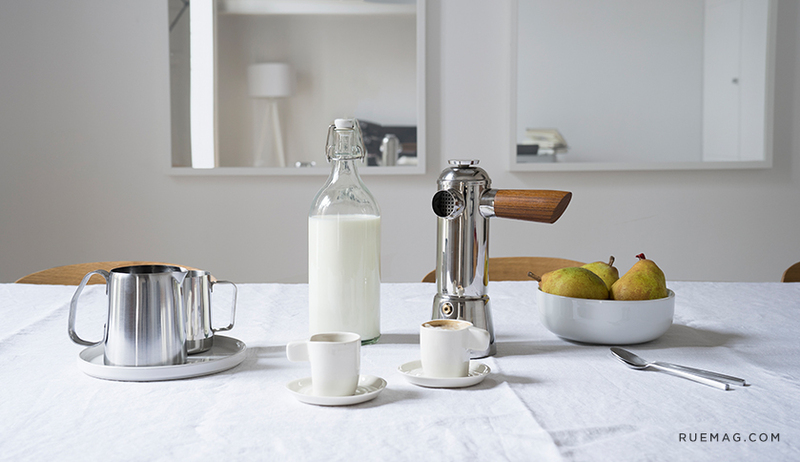 Moka pots (stove-top espresso machines) are what Italians have in their homes. They are economical, easy to use and make a great tasting espresso. There are many options, but this one from Freud instantly brings style to your kitchen. Step 3: Get a couple of inexpensive specialty items. 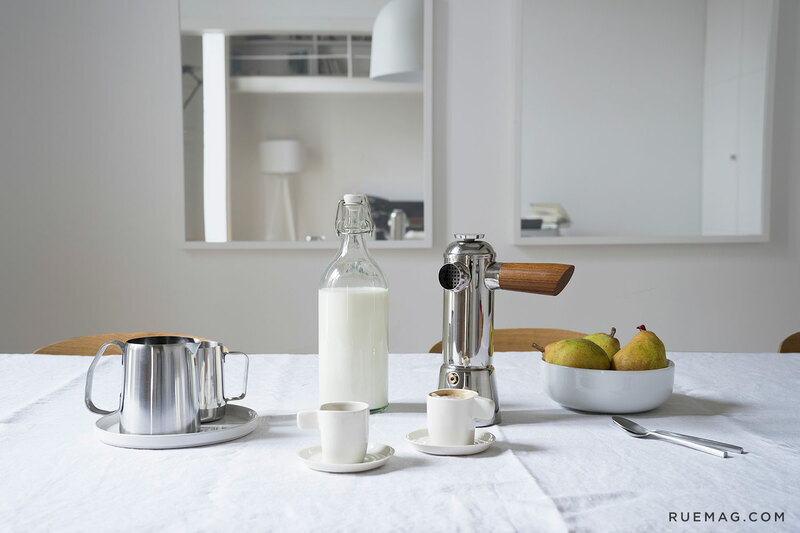 IKEA has awesome stainless steel milk pitchers and a milk frother that will help you make the best cappuccino ever. Step 4: Follow these tips for how to make the best stove top espresso. Buy whole espresso beans and grind them finely. Here’s a great resource for the size of grind for each type of coffee. Fill up your Moka pot 1/4 in below the pressure valve. Place the coffee grind funnel filled to the top with your freshly ground coffee and screw the top of the pot on tightly. Place your pot on a medium heat. If you put it on high heat you run the risk of getting grinds in your coffee, making it taste even more bitter. Once the coffee has stopped percolating, it’s ready to serve. If you’re an espresso purist stop here. If you like a caffe latte or cappuccino, read the next steps. Always heat your milk up on the stove versus the microwave. The perfect temperature of milk for a latte or a cappuccino is 60-70°C (140-158°F). It will start to steam, but it starts to boil (which is at 80°C) you’ve gone too far. Heating milk too much will give it an undesirable eggy taste. Pour hot milk into the stainless creamer and use the milk frother at an angle. Watch this video to get a better idea on how to create artistic froth motifs for your coffee.